If you thought training was only for dogs, you and your cat have been missing out on a lot of fun! 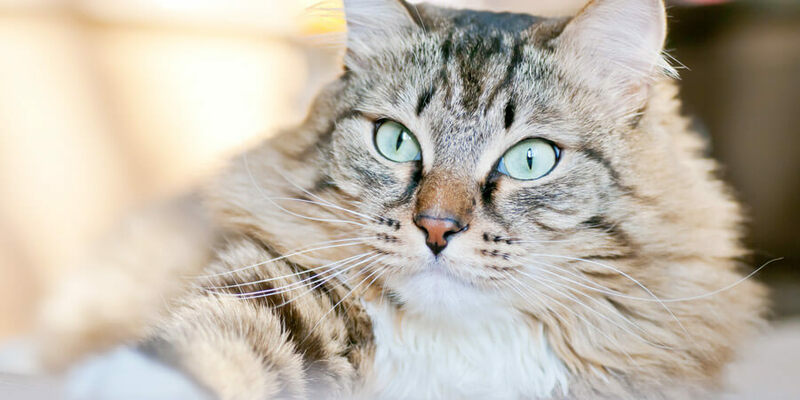 Cats and dogs can learn the same tricks, and those tricks will keep your cat busy, as well as mentally and physically healthy.Every cat owner knows their felines love to amuse themselves, but cats are incredibly intelligent in other ways as well. Life is so much more fun (and cats are so much less inclined to get into trouble) if they have something that will keep them happily occupied, and what better way to accomplish that than by interacting with our feline companions. A little cat training can go a long way; and positive reinforcement is the key.If you think cats can’t be trained, just remember the last time you shook a treat bag or opened a can of cat food and kitty came running. He or she was trained to the sound without you even realizing it! Operant conditioning, popularly called clicker training, is used in zoos and with marine animals, as well as house pets. It’s a simple method of using a clicker (usually a little box toy, but you can use a ballpoint pen, top of a baby food jar, barrette, or anything that makes a consistent sound) that tells the cat he or she has done something right. 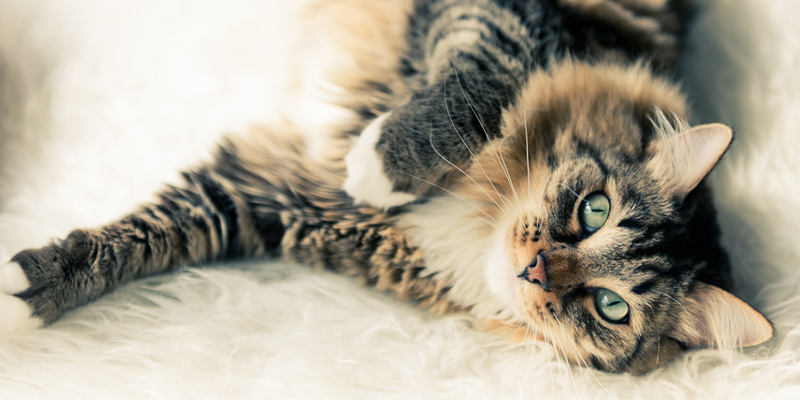 Simply pair the sound with something the cat enjoys, whether it’s a tiny bit of food, cheese, affection, or a game with a favorite toy as a reward. With this technique, you can teach your kitty to wave, high five, sit, come, jump through a hoop, or anything else you fancy. Remember to keep sessions short and fun. First click and treat half a dozen times until kitty learns that click means something good is coming. Training sessions of no more than 5 minutes each are key, and don’t add the cue word until kitty is doing the trick half a dozen times successfully. Training your cat to come to their name is also easy. Whenever you talk to them, use their name. When you call them, have a tasty treat ready and reward them with a click and a treat when they arrive. Remember, never call them to you to reprimand them––coming to you should be fun! Kitty will also follow a toy over and under chairs, so you can set up a mini Agility Course. Yes, there are cat agility competitions, but your lively cat will appreciate the interaction of an agility game at home. And isn’t this better than climbing the drapes and swinging from a chandelier? Practice daily to keep your cat’s interest, strengthen your bond, and have fun tricks to show friends. A happy, well-mannered kitty will be your reward. 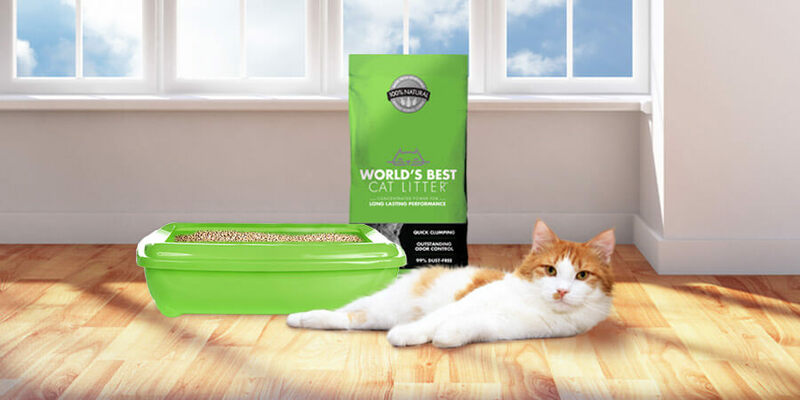 World’s Best Cat Litter™ is proud to partner with the Cat Writer’s Association, Inc. for a special series of guest-written posts on how to keep your cat happy and healthy, and make your life more hassle-free.Darlene Arden is an award-winning writer and author of “The Complete Cat’s Meow: Everything You Need to Know about Caring for Your Cat. Arden, a Certified Animal Behavior Consultant, lectures widely on wellness for pets including, behavior, training, and nutrition She is also an experienced television producer/host, and a lively guest expert on various radio and television programs and a popular and much acclaimed speaker.A founding member of The International Association of Animal Behavior Consultants, a founding member and former director of the Cat Writers’ Association, former member and director of Dog Writers Association of America, a member of the World Dog Press Association as well as Boston Authors, she is one of the few layperson members of The American Association of Human-Animal Bond Veterinarians and a member of Boston Authors, among her numerous awards are the CWA Muse Medallion, and the Massachusetts Society for the Prevention of Cruelty to Animals/American Humane Education Society’s Media Award for veterinary writing and animal welfare. In her “spare time,” Arden is a volunteer Cat Behavior Consultant for Pets for Life, NY.